Registration for Meditation Sessions via Audio Stream 2019 is now open. The sessions will be held at Siddha Yoga Ashrams, meditation centers, and participating chanting and meditation groups, and online via the Siddha Yoga path website. Please sign in to begin registration for Siddha Yoga Meditation: Meditation Sessions via Audio Stream 2019. Enter your username and password below. You can also sign in by clicking on the "SIGN IN" link located in the top right corner of every page on the Siddha Yoga path website. If you do not have a username and password, please create an account. Swami Vasudevananda has been following the Siddha Yoga path for more than forty years. In 1980 he took monastic vows to become a Siddha Yoga Swami. Throughout the decades, Swami ji has been widely appreciated as a thoughtful and compassionate teacher, and a wise and inspiring mentor of other teachers, writers, and speakers. He is the author and co-author, respectively, of two year-long courses in the Siddha Yoga Home Study Course—The Power of Siddha Yoga Meditation and The Power of Siddha Yoga: Path of the Heart. In 2015 and 2016 he was the teacher overseeing the series of Siddha Yoga Meditation Sessions via Live Audio Stream on the Siddha Yoga path website. Swami ji is also author of the book Darshan: The Presence Within. He continues to share his deep understanding of the Siddha Yoga teachings in his role as an educational content developer for the SYDA Foundation. 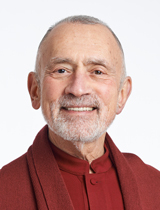 Swami Akhandananda began practicing the Siddha Yoga teachings in 1974, when he was a teenager. Two years later he made the commitment to offer seva full-time— first in the Siddha Yoga Ashram in Oakland, California, and later in Gurudev Siddha Peeth and Shree Muktananda Ashram. In 1982, he took monastic vows to become a Siddha Yoga Swami. An experienced Siddha Yoga meditation teacher, Swami Akhandananda inspires students with his dedication to Siddha Yoga study and contemplation, and his great love for the Siddha Yoga practices, especially chanting. Swami ji has taught extensively in Siddha Yoga Shaktipat Intensives, satsangs, courses and retreats around the world. 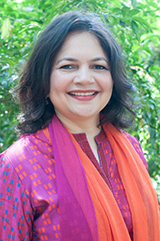 Ami began following the Siddha Yoga path with her family in 1976. For the past twenty-six years she has served as an SYDA Foundation staff member at both Gurudev Siddha Peeth and Shree Muktananda Ashram. She has offered seva in many SYDA Foundation departments, served as a member of the Ashram management team in Gurudev Siddha Peeth, and organized Siddha Yoga teaching and learning events for young people throughout India. Ami is also a Siddha Yoga meditation teacher and a trainer of teachers for the Pilgrimage to the Heart Retreats in Gurudev Siddha Peeth. She offers seva from her home in Mumbai, India, as an SYDA Foundation staff member in Premotsava Department as a writer and Sanskrit scholar. Ami has a bachelor’s degree in psychology and a master’s degree in Sanskrit from Mumbai University. She lives in Mumbai, India, with her husband, Ruchir, and daughter, Nitya-Shriya. 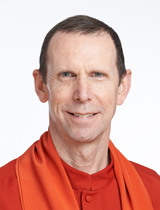 Yawu Miller began practicing the Siddha Yoga teachings in 1981, and he has been a Siddha Yoga meditation teacher since 2006. 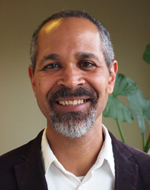 In the past, he has offered seva as a manager of the Siddha Yoga Ashram in Boston and a steering committee member for the Siddha Yoga Meditation Center in the Greater Boston area. His core practices are meditation and svadhyaya, the recitation of sacred texts. Professionally, Yawu works as a senior editor for a weekly community newspaper. He has a Bachelor of Arts in English from Dartmouth College. Yawu lives in Boston, Massachusetts, with partner and two children.